The sunshine that keeps breaking through our familiar Seattle clouds has been putting thoughts of summer fun in my head. 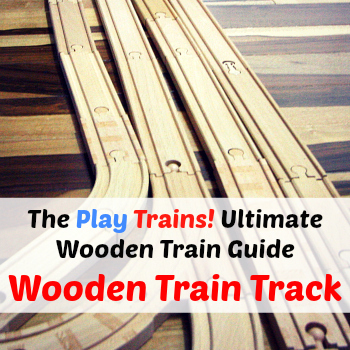 At the same time, the lure of playing wooden trains is hard for the Little Engineer to resist. 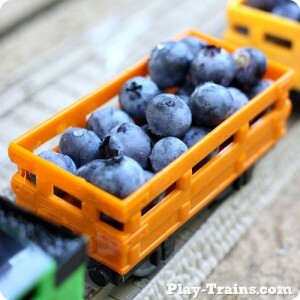 We often take the trains outside and play with them on a picnic mat in the shade. 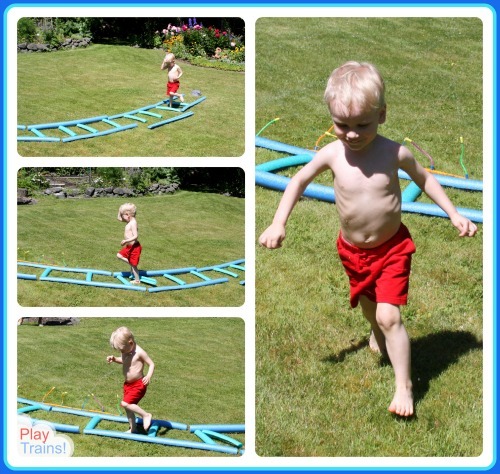 That gets us fresh air, but summertime is for playing in the sun and running through sprinklers! I had a couple of train-themed enticements for the running part of that — Grass Tracks and Steam Streamers are favorites — but the Little Engineer needed some strong motivation to run through a sprinkler. He’s always been wary of anything that sprays water. 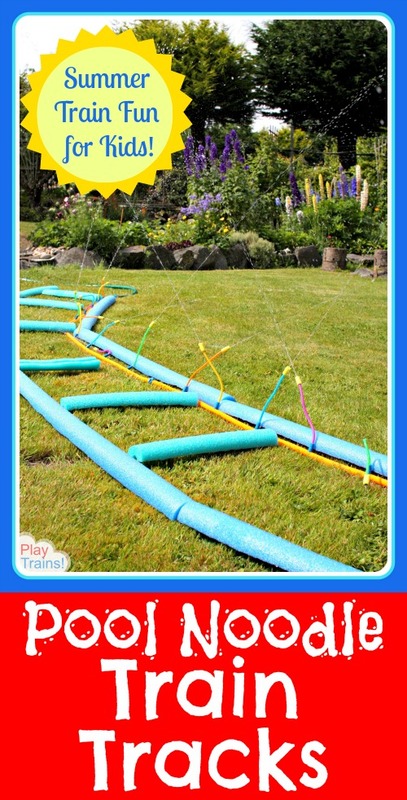 I was already planning to make train tracks out of pool noodles when the most recent round of sunny weather started. The heat was rising (as much as it ever does here in June), and I knew the Little Engineer could benefit from some cooling off. 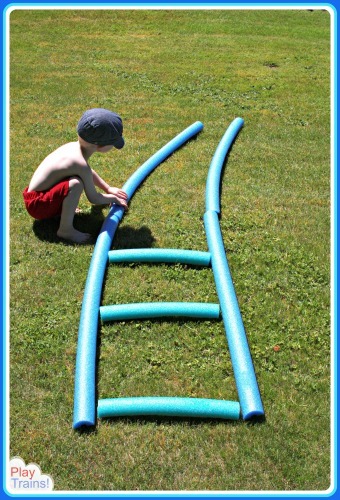 That’s when it came to me: we could turn the pool noodle tracks into an engine wash! 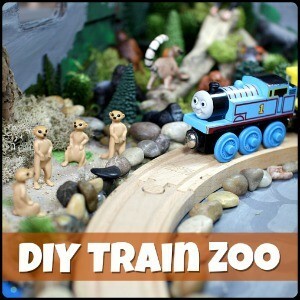 I explained the idea to the Little Engineer, and he thought it sounded like a lot of fun. I would have liked to have set up something like the DIY car wash sprinklers I’ve seen people making on Pinterest, but we wanted to do it that same day. 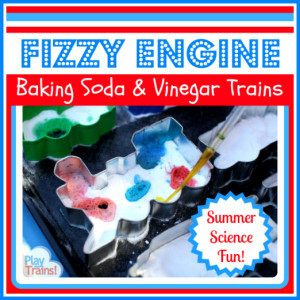 Anyway, as cool as those are, it seemed like too much work when I wasn’t sure the Little Engineer would like being sprayed with water, even if we called it an engine wash. When we got to Grandma and Grandpa’s house (and their beautiful backyard! 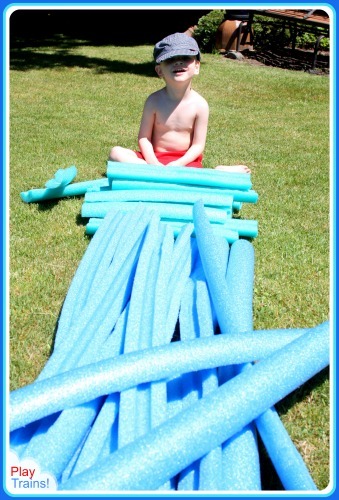 ), I prepared the pool noodles. 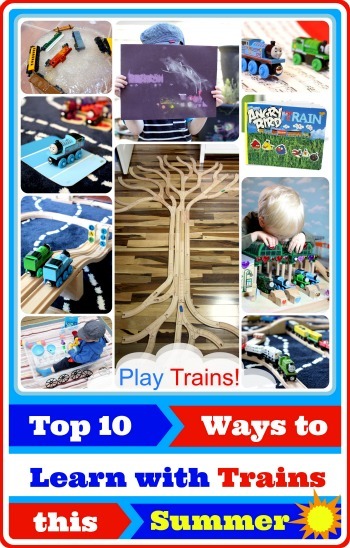 I had bought three aqua noodles for railroad ties and six in a darker blue to be rails for $9 at the Dollar Tree. With a serrated knife, I cut the aqua pool noodles into three equal lengths. Then I sawed them and the full-length dark blue noodles in half lengthwise. That way, they would lie flat on the ground, and our railway could be twice as long. 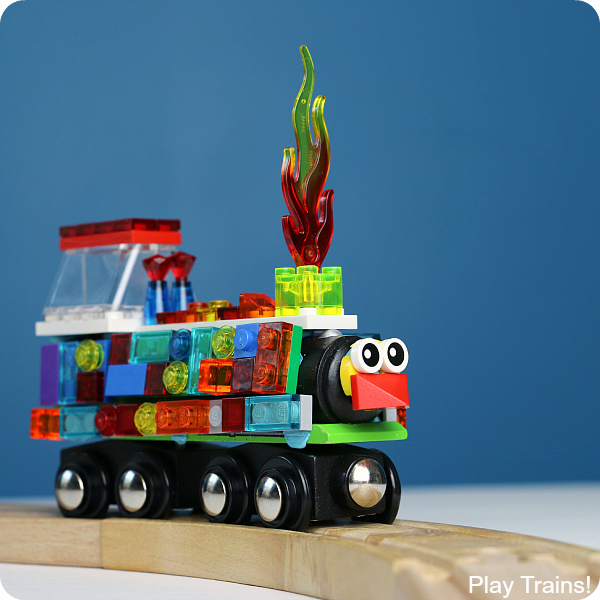 The Little Engineer was so excited to stack up his track building materials! 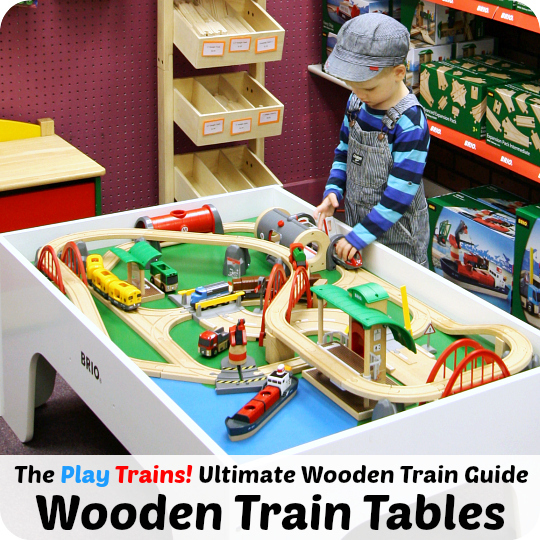 We’ve been learning about how train tracks are built, and he was thrilled at the chance to act out what we’d been reading about. 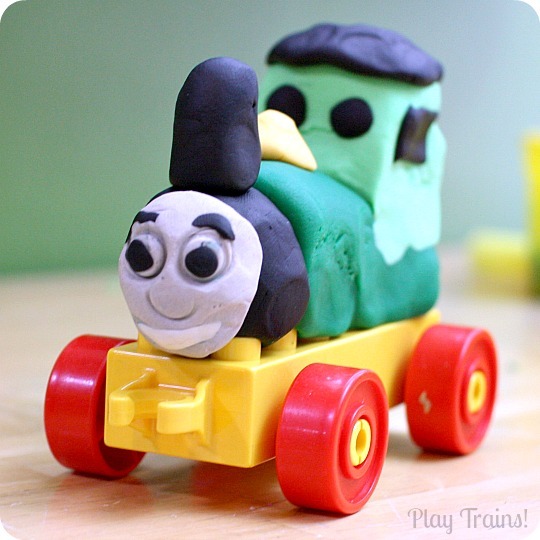 He set about laying track with help from his grandma and me. The noodles all had a curve to them, which gave a natural curve to the railway. Were I to do it again, I would try to figure out the best way to slice them in half so they would lie as flat as possible. After having to fix the tracks several times when the breeze blew them around the grass, in the future I may try securing them to the ground with long golf tees. 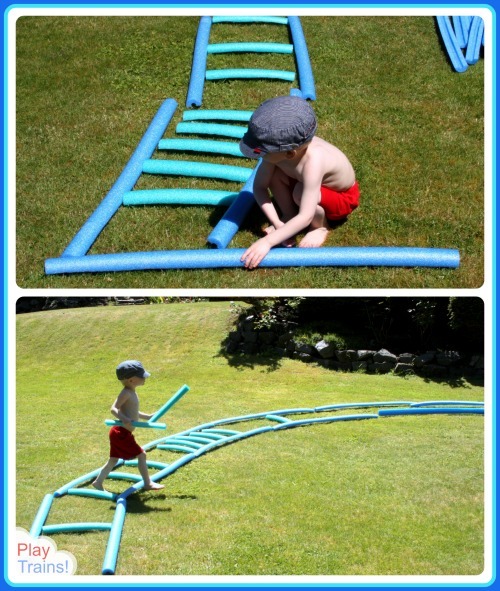 The Little Engineer would enjoy trying to pound in the “stakes” to hold the rails down. 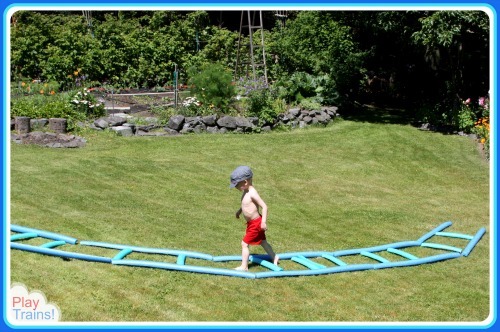 There were a few points when we had to discuss how a real train would run — just after I took the picture below, I asked him if he was planning a crossing or if he wanted the tracks to curve — but mostly he just worked until the pool noodles were all used up. It was fun to watch him work with such purpose! He had definite ideas about where every tie was meant to go. 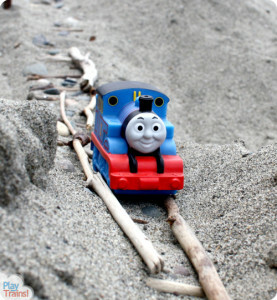 While he worked, he occasionally took a break to chuff along the tracks. But once the railway was finished, it took a lot of convincing to get him to do a test run before adding the “engine wash” sprinkler. I knew the sprinkler was an iffy thing for him, though, so I wanted to make sure to get some pictures before we turned it on. Then we laid the sprinkler along the tracks. The way it worked best was to run it along the inside of one of the rails. When we turned the water up, the sprinkler sprayed impressively in all directions, ensuring a good wash down for any engine willing to pass through the streams of water. 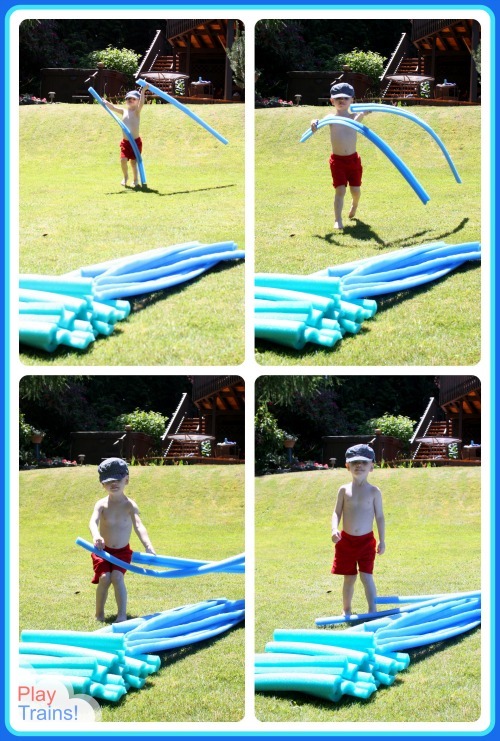 The Little Engineer removed his cap to save it from getting wet, and then covered his head with his hand, ducking as he approached the sprinkler. He looked like maybe he was going to do it as he reached the first jets of water…and then he ran off! At that point, he decided it might be more fun without clothes. It was, to some extent, but he still wasn’t keen on being sprayed, and it was even more fun to run around the dry parts of the backyard in his birthday suit! I have many pictures of this to make me smile and him groan in years to come. Later — much later — I convinced him that clothes had their benefits. As the sun sank behind the tall evergreens, we built a second railroad going up the now shady, steep little hill. He really enjoyed running down this track and jumping up it! 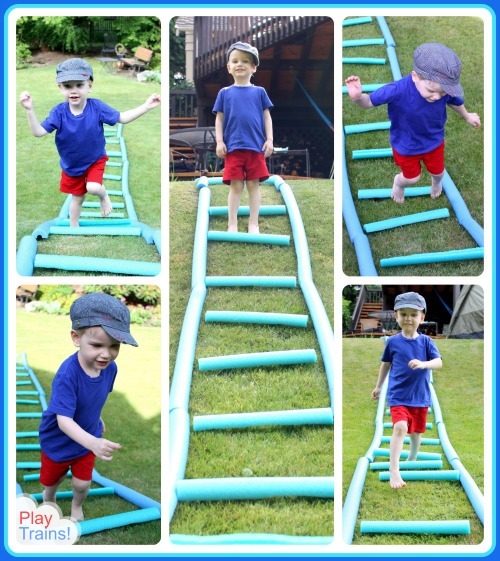 We had him counting the railroad ties as he jumped over them, mostly as an incentive to keep moving as he started to get tired, but it does add an additional learning opportunity on top of all the benefits of building the track. I’m interested to see whether he takes to the sprinkler by the end of summer or not. 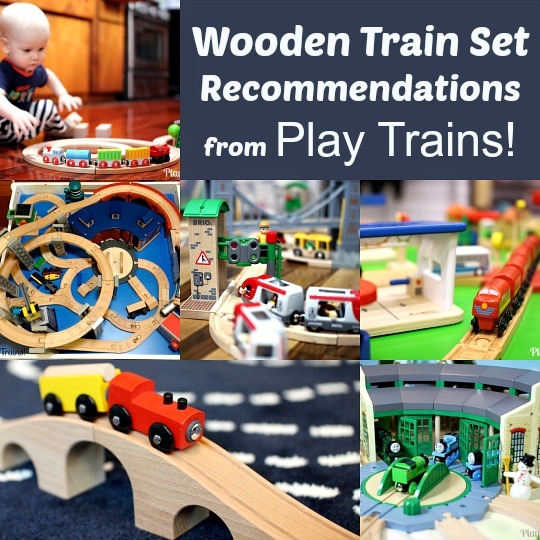 Either way, we’ll definitely be building more pool noodle train tracks! 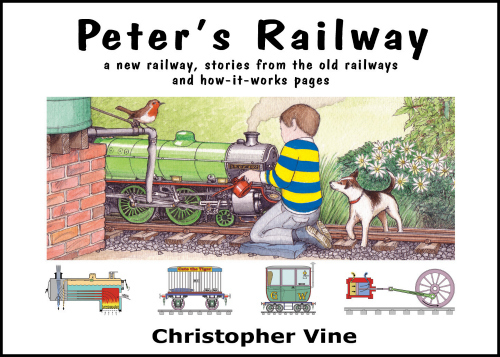 This activity was originally inspired by reading the wonderful Peter’s Railway books by Christopher Vine, in which a boy and his grandfather set out to build a miniature steam railway between their houses so they can visit each other more often. 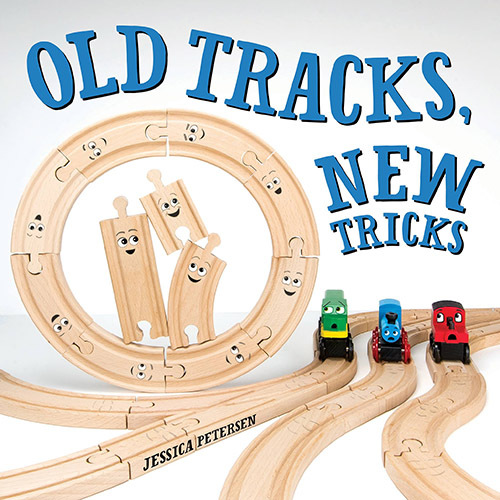 You can read a thorough review of these wonderful books in my post about another summertime track building activity inspired by them, Building Sand Tracks at the Beach. 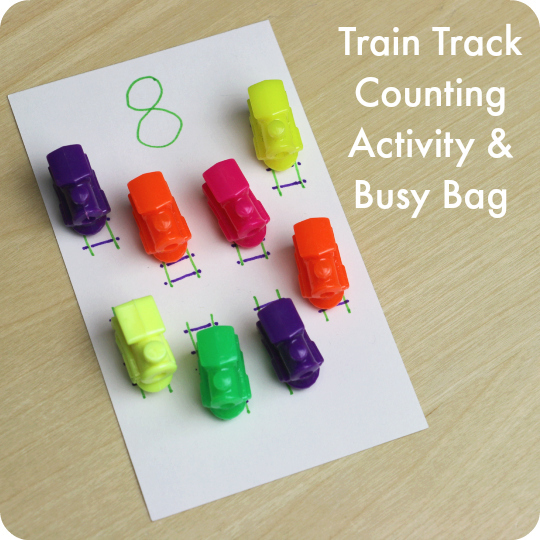 For a fun and wacky track building story to go along with this activity, read Tracks by David Galef. 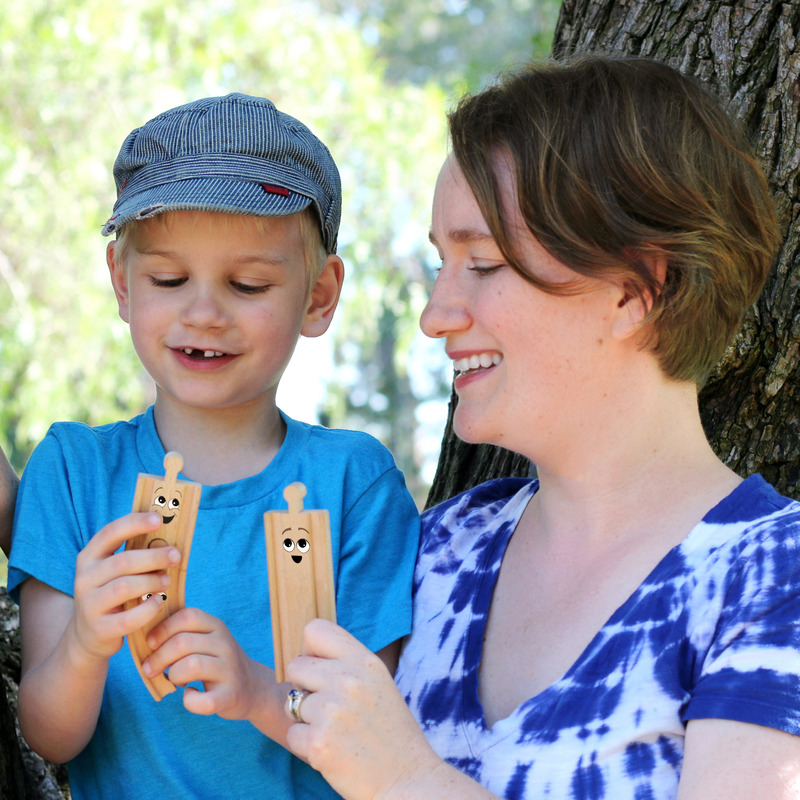 The Little Engineer thinks it’s hilarious! 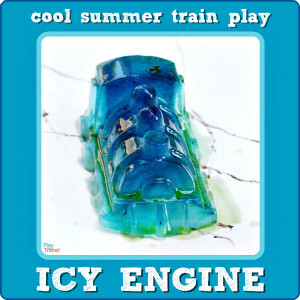 Plus it’s perfect for summertime: the story begins when the engineer in charge of building a new railway line breaks his glasses when they slip off his nose on a hot, sweaty summer day. 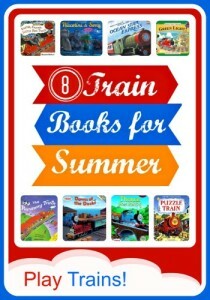 You can find more great reads for the season in 8 Train Books for Summer Reading, and more summer train activities in our Top 10 Ways to Learn with Trains this Summer. Jessica, this is absolutely fantastic!!! What a fun way to spend the afternoon. SO cute, Jessica! It looks like he had a great time! And he is so proud of his creations! Thank you, Stephanie! He does take a lot of pride in his work! This is awesome!! My kids would go crazy with the possibilities! 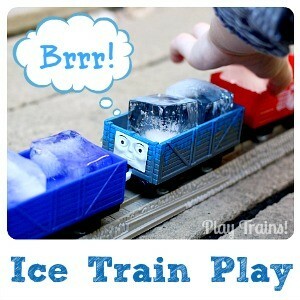 And, of course, being trains afterwards! Thanks so much for sharing this at Teach Me Tuesday at Preschool Powol Packets!! Thanks! I do love how open ended the building part of it is. Something we’ll do again and again, I hope. 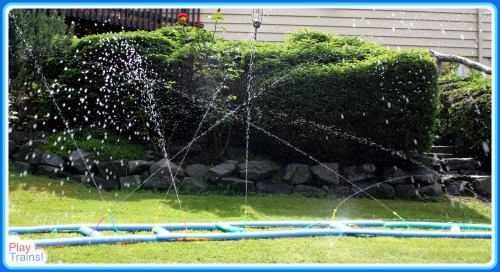 This is the coolest sprinkler idea ever!!! Thanks! I was so glad I thought of adding the sprinkler. How fun! My son has just figured out he loves sprinklers and he’s always loved trains. Perfect combination!! This looks like so much fun. I love how it can be put together over and over again in new ways. I have pinned this post. And that sprinkler with the little hoses looks so COOL!!! What a great idea! But the selling point, in my opinion, is that little hat! Such a cutie!